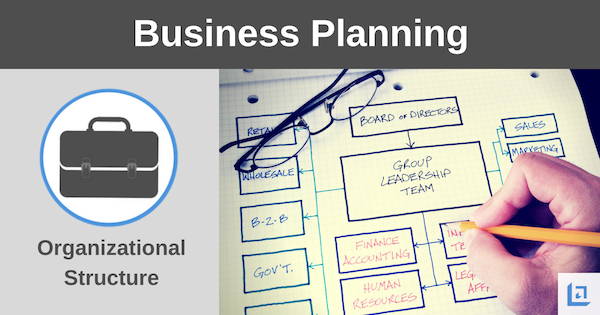 Include the formal organizational structure of your business as part of the Operations Structure section of your business plan. In this section you will need to detail how your various departments are organized and how they work together for optimal production and efficiency. Plans are only good intentions unless they are implemented by highly qualified and effective leaders. Business owners are well advised to surround themselves with a team of people who bring value to the business and have a record of producing positive results. 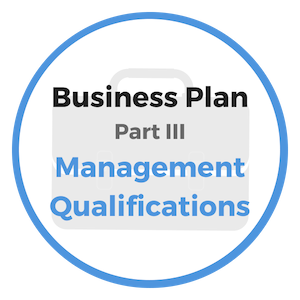 Particularly during the start-up phase of a new business, having qualified people who can quickly and effectively implement the business plan is critical if the business is to succeed long-term. Why? Because in the beginning, funds tend to be limited. So, making the most out of the resources available is of the utmost importance. The formal organizational structure of your business can be illustrated by an organizational chart, outlining the various departments and lines of leadership. For corporate entities, clearly indicate the names and titles for all key personnel, such as CEO, President, CFO, Director of Operations, Directory of Marketing, etc. "Knowing who is in charge of what is key to effective management." Obviously, sole proprietorship's will mostly be easier to outline since the number of employees will be relatively smaller. However, if you outsource various elements of your team be sure to make this clear to the reader. For instance, do you work with a virtual assistant? Do you contract with freelancers for your website, marketing or graphic design needs? Although contract laborers do not have ownership in your business, they are responsible for critical aspects of the business so it’s important to show how and why you count on these third-party providers. A wide variety of formal organizational structure flowcharts can be found online, such as these free organizational chart templates. 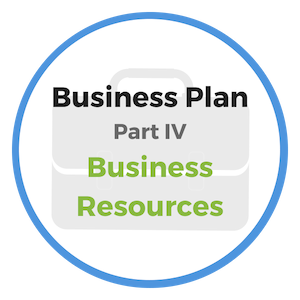 Individuals reading the formal organizational structure of your business plan want to know who is in charge and why each person has been chosen to oversee a particular area of the organization. They will judge the quality of the business and its chances of success, in some measure, by the background and expertise of the various people in charge. The ownership of the business will also be of great interest to the reader. Be transparent about the makeup of the business owners. Make sure to include how each owner is compensated. Investors understand that each dollar paid in salary expense takes away from the bottom-line profits of the organization. Therefore, they will be looking to see that owners aren’t putting the business as risk through by taking high salaries during the early stages of the business. "Leadership is the art of accomplishing more than the science of management says is possible." The great majority of men and women who succeed in business and in life, do so by surrounding themselves with smart, eager and able associates. No man should make the mistake of thinking he needs no other person in order to succeed. We all need others to compliment or make up for our own weaknesses. No one knows it all. You cannot lead a great enterprise; stand at the head of a board room table; or maximize your limited resources most effectively, unless you have established a network of mentors and business partners to help guide and support your efforts. You must use every resource available to you. "A good plan, executed now, is vastly better than a perfect plan next week." Each person has his talents. Just because a man can write a great book on business does not ensure that he can successfully manage others. Writing about management theory is not the same as practicing business in the real world. Humans are complex creatures that require leadership along with clear and effective communication. Not everyone is cut out to be the next Jack Welch, Michael Eisner or Warren Buffet. In fact, each of these highly successful business tycoons would no doubt credit many within his circle of influence, as being critical to his success. As you work through the business planning process, make certain you have surrounded yourself with the most highly engaged, talented people available. Pay high performing people whatever you must in order to gain their commitment. If they are as good as you think they are, then the upfront costs will be well worth the investment over time. 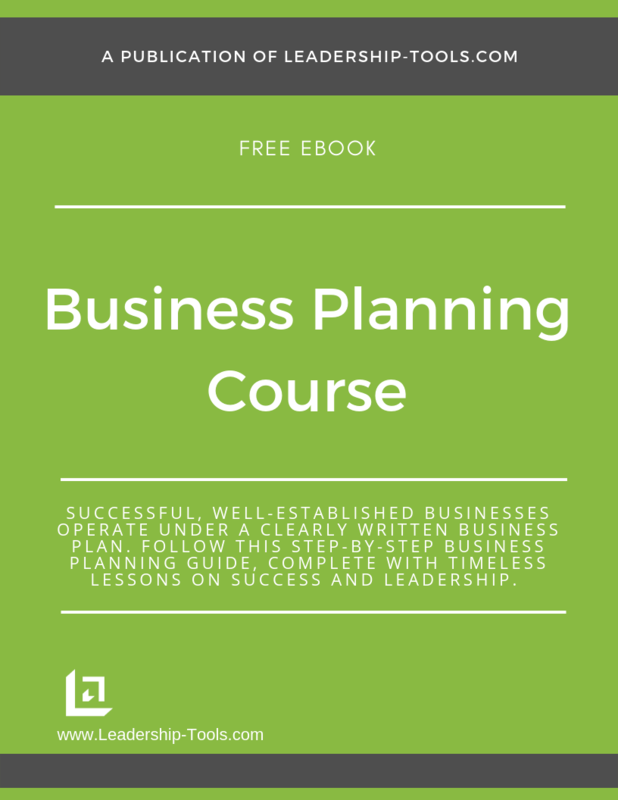 To download our free Business Planning Course/eBook, complete with details on creating a formal organizational structure, marketing strategy, financial assessment and more, simply subscribe to our free newsletter. You will immediately receive a password that grants access to our entire leadership tools library.